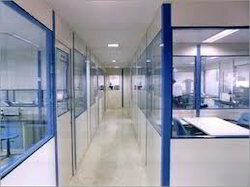 Our service range includes a wide range of metal doors, aluminum glass glazing, patch fitting glass partitions, aluminium doors, fireproof doors and aluminum partitions. We specialize in designing, manufacturing and installing metal doors and metal windows, which provide the interior aesthetic as well as functional features. Prior to the designing of these doors, our team of expert designers keep into view the space, size and look of the interior and specifications of our clients. Further, for manufacturing them, we use only high grade of materials, which enhance their durability to a large extent. 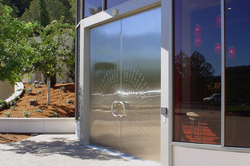 Aluminum Glass Glazing solutions offered are made available in a wide range of choices to pick from and feature durable finish and in exciting finished designs. Here, our expertise also lies in providing these glazing solutions with superior long lasting construction standards in numerous choices of designs and patterns. Being resistant to adverse weather conditions, these aluminum glass glazing come in compact and elegant designs and are successfully meeting the emerging demands of the market. 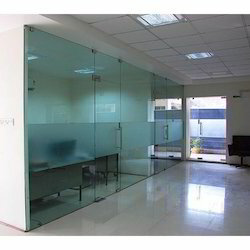 Patch Fitting Glass Partitions & Doors offered come aesthetically designed and are made available in superior quality finish so as to perfectly match up with the tastes of the customers. We hold expertise in designing, manufacturing and installing the aluminum doors, which are widely preferred by residential and commercial clients to reflect their lifestyle. We pay painstaking attention on the quality of aluminum and procure it from the reliable suppliers, who hold a good reputation in the market. Further, we are supported by a team of qualified and experienced designers and craftsmen, who are dexterous in developing the doors in various fascinating designs in conformation with the demands and requirements of our clients. With the intent to cater to the demands of various industries and commercial buildings, we design, manufacture and install fireproof and acid proof doors. These doors are manufactured by us using special silicon based epoxy pack paint. 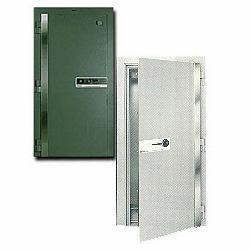 These fire resistant doors are strong in quality and are used in buildings, where chances of fire hazards exist. Our proficiency lies in custom designing these fire retardant doors according to the specifications and demands of our clients. Aluminum Partitions offered comprise enchanting range that is offered in best available finish choices as per the specific choices of the customers. Providing the best balance between quality and costs, these aluminum partitions are highly preferred to be used at homes as well as at commercial spaces like hotels and restaurants. Perfectly suiting different tastes of customers, these partitions can also be provided in customer specified design standards that provide for enhanced surrounding décor feel. 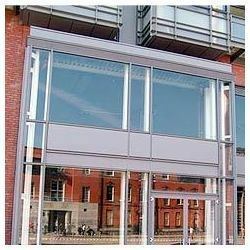 Looking for Aluminium Doors & Windows ?